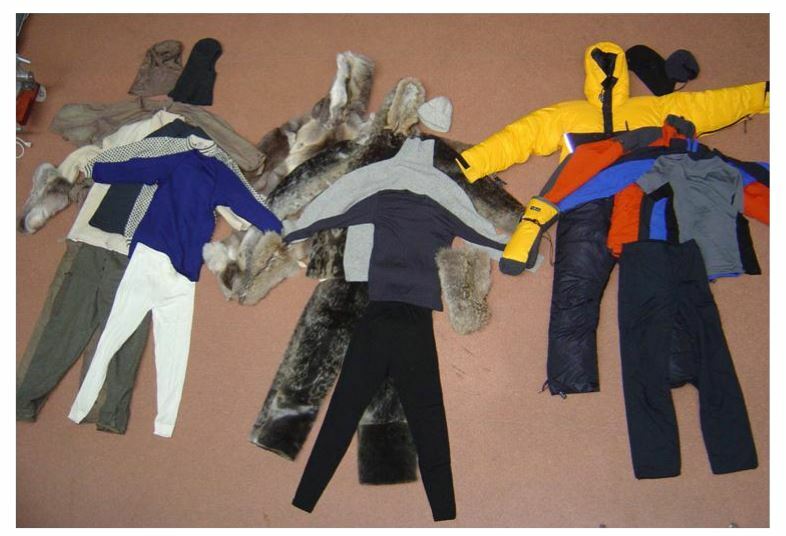 It is almost universally recommended that wearing multiple layers of clothing is the most effective way to stay warm in cold weather, compared to one thicker layer, although there seems to be little actual science to support this claim. e.g. "The reason wearing multiple thin layers will keep you warmer than a single thicker layer is because warm air is trapped between the layers acting as an insulator" (here), or via this video here. Multiple layers have the advantage of temperature control, allowing you to add or remove layers depending on the conditions (as is articulated here) but I am not trying to find a practical advice for hiking/outdoor pursuits, rather look to find out whether - scientifically speaking - two layers are better at insulating heat than one, assuming material is constant and total thickness is the same. I wonder whether there is any evidence or scientific (e.g. physics) arguments to settle this basic heat conservation question? Browse other questions tagged physiology physics sport clothing . For people with high body odor, is it better to wear cotton or microfiber? Are left-handed people better at mathematics?